Best price I've even seen! Can i also use this for welding? Imagine waking up, rolling over and your missus is wearing that. You'd probably poop the bed thinking Michael Myers has come to finish you off. The winner of best comment of black Friday goes to you! Imagine waking up, rolling over and your missus is wearing that. You'd …Imagine waking up, rolling over and your missus is wearing that. You'd probably poop the bed thinking Michael Myers has come to finish you off. Sometimes I wish I could roll over and see my missus wearing that, also having the thought of Michael Myers in my bed finishing me off is just as bad! Ideal for those teenage gamers, living in their moms basement and only hearing rumours about the "day star". This light only activates 30 times (though one ebayer says you can re-activate it by looking it up on the internet)? Which seems a bit of a swizz. Amazon Q&As say: "The Activator is a con. It's merely a power supply that has been timed to end and forces you to spend more. There are lots of youtube videos that show you how to bypass it." "The Activator was designed to ensure that a consistent dose of light is delivered in each treatment. It provides a steady supply of energy over time, which has to be tightly controlled since the Light Therapy Acne Mask is a medical device. To do so it has been programmed to power exactly 30 treatments." 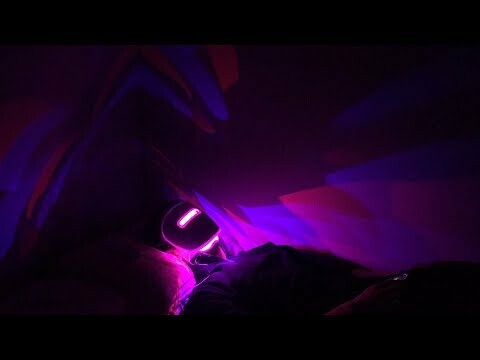 I'd imagine the only thing that would affect the light output would be the 4 x AA batteries (which you supply) - and from all the reading I've done about LEDs on skincare forums - the best LED lights are mains-powered. Might help some people but the root cause of any acne past teenage years is diet. This is likely a temporary placebo con. Still a good price tho. Might help some people but the root cause of any acne past teenage years …Might help some people but the root cause of any acne past teenage years is diet. This is likely a temporary placebo con.Still a good price tho. Can't speak for acne but the Anti-Aging Lightstim is a great beauty tool They used to do a Rosacea Light, not sure what happened with that, but they have an Acne one for sale, still. At least the Neutrogena isn't crazily-priced and it's worth a go. I'm sure this is repackaged and branded as a willy enlarger on another site. 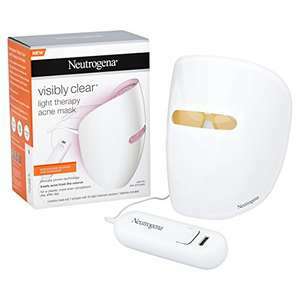 I have similar LED light therapy device and works well at acne. This should be a nice one. There are many tutorials on Youtube to solve the 30-time usage problem.